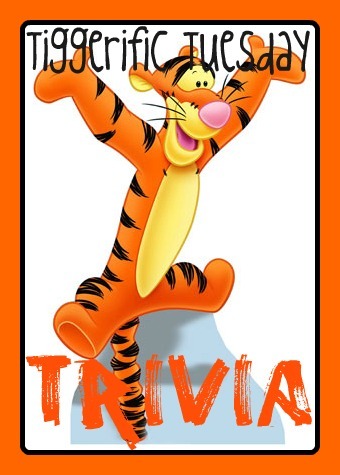 Did You Know Today’s TIGGERIFIC TUESDAY TRIVIA on the Festival of the Lion King? The Festival of the Lion King is moving! We have a few construction pictures here. With the news we thought we would give you some trivia on the attraction. 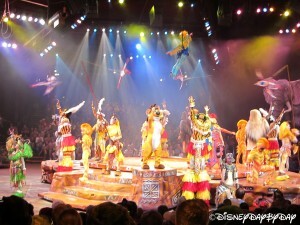 The Festival of the Lion King opened with the park on day 1 which makes it the longest running show at the parks. For years it was an open air theater with no AC. That’s right, no AC, it wasn’t enclosed until 2003. 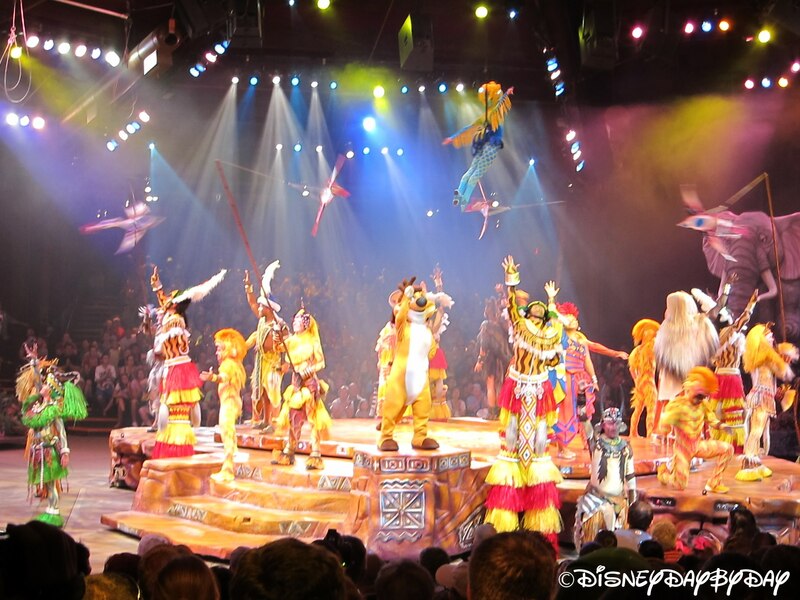 The initial plan was for the show along with Camp Minnie Mickey to be temporary attractions until they understood the crowds that Animal Kingdom would attract and had the budget to finish off Beastly Kingdom. The Animal Kingdom encourages recycling and this show is a great example. The floats and puppets used in the show come from a parade at Disneyland. 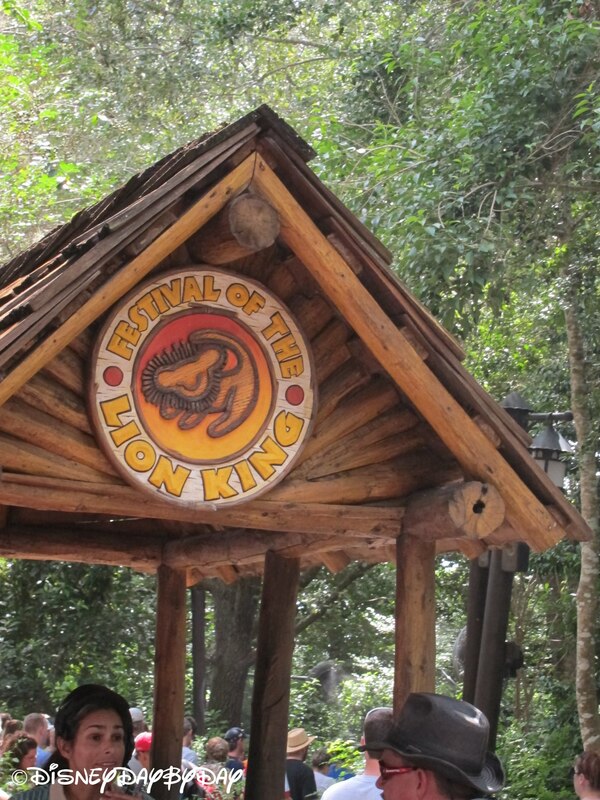 As The Festival of the Lion King finds a new home, we await more information on the Avatar area that will take its place. We hope to hear more in the upcoming D23 Expo. And here is a trivia question: How many people perform in this show on a daily basis? With 7 shows a day there are around 50 people that perform in the show on a daily basis. Which makes D the correct answer 🙂 Be sure to take a look at all the great trivia on the Hop today. I love The Festival of The Lion King, especially the Tumble Monkeys! So much action, it’s great. Thanks for stopping by today! I’m glad they’re moving it and not just shutting it down! We are too! Have to see what Avatar brings though.